When I first graduated as a Nutritionist more than 10 years ago I literally had no idea that I was actually running a business – I was “just” a Nutritionist. It certainly didn’t occur to me to think like an entrepreneur or call myself a CEO. But once I started following and working with coaches and mentors that helped me shift my mindset and really step into my business everything changed. 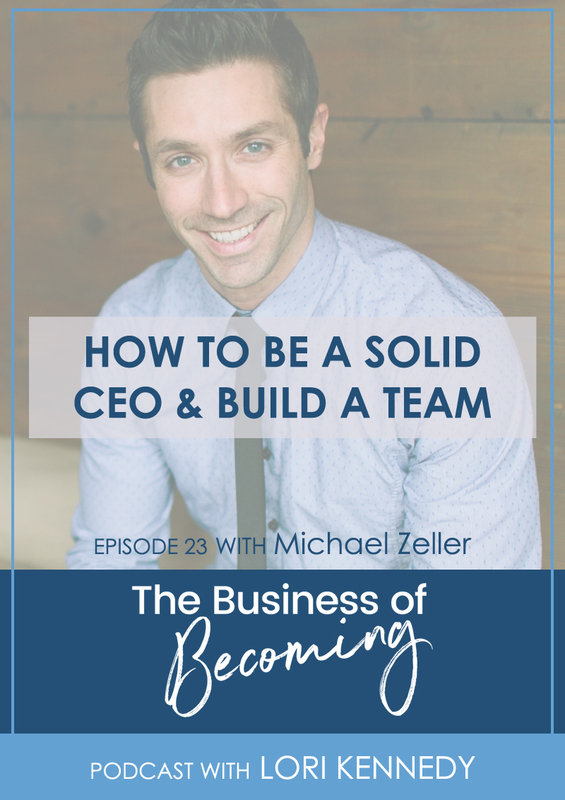 I invited Michael Zeller to join me for today’s’ show to discuss how to be a smart business owner, a solid CEO, and how to build yourself a great team. All businesses are a living and growing entity, as it changes and grows so do the needs it requires – much like the life cycle of a human. The needs and abilities of an infant are very different than a toddler or teenager – and the phases and stages of your business are no different. Getting yourself into the right mindset for the “life cycle” that your business is currently in will not only help you to understand it’s current needs but allow you to find more clarity in your CEO and leadership role. You are also more easily go with the flow and allow each stage to happen as it needs to, knowing that it is only a stage and that it will continue to evolve and change – just like parenting! 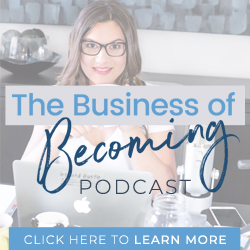 Michael and I discuss what he calls the “middle class mindset” and how that kind of thinking can hold you back and keep you working IN your business instead of ON your business as a true CEO. Be sure to grab your journal or a pen and paper as Michael outlines his 6 Step System that he uses to support entrepreneurs to shift their mindset from “operator” to “owner”. It’s SO good and doing this work will change how you feel about and show up in your business. There were SO many awesome book recommendations that Michael threw out to continue the learning and conversation (check them all out below). Michael has helped launch and develop more than 10 businesses that collectively have done over 100 million in sales. But his real passion is architecting businesses and helping talented entrepreneurs grow and develop their own business through his Rising Stars Mastermind and his marketing agency Elevate. 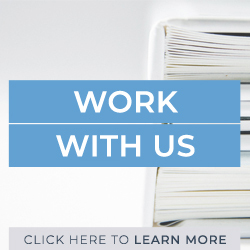 Connect with Michael through his website and on social media via Facebook, Instagram, or Twitter. And it would mean the world to me if you’d leave a rating and review. I’d love to know what you think of the podcast and how I can make it better for you. Plus iTunes tells me that podcast reviews are really important and the more reviews the podcast has the easier it will be to get the podcast in front of more people, which is the ultimate goal. You can leave a review right here. If you aren’t sure how to leave a review, watch this super short video. I didn’t start my own business because I wanted to be a CEO, I just wanted to help other people. But once I made the connection that owning my own business was me being a CEO, so many things fell into place. It’s okay if you don’t know how to be a CEO, that’s why we’re having this conversation! Does being a CEO scare you or have you found a strategy to develop and evolve your own leadership skills? Share your experiences below! 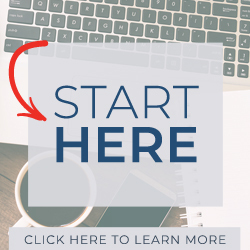 You can also join my free online community to connect with more than 6000 other health practitioners just like you to ask questions, share wins and struggles and get lots of support from me and my team! I hope to see you there.